Pay Per Click advertising on Google, MSN – Bing and Facebook gives you the ability to have an instant presence online. SEO and organic social media can take weeks, and even months to show results. PPC, however allows you to immediately reach your targeted audience and create traffic to your site and to the most profitable products and services for your business. Our Google and Bing Ads Certified expert marketing team will build new campaigns in Google Adwords and Bing AdCenter, which includes breaking out each campaign out by concept, product or service down to a level that keeps spend deeply under control, then launching, monitoring and optimizing each of them several times per week – including weekends. For e-commerce we will add any new products to the campaign mix that you want, and choose the proper landing pages from your website for each campaign. 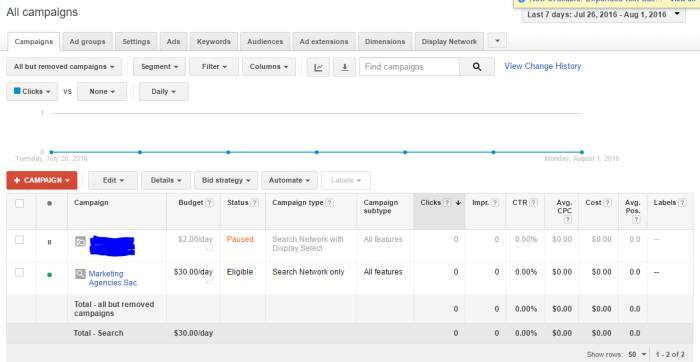 Pictured here is a screenshot of our current Google Adwords PPC Management dashboard. See all those tabs? Each of those contain dozens of variables that affect how effective and efficient your advertising dollars are being spent. Don’t waste your precious time trying to figure it all out. This is why we are here to help. 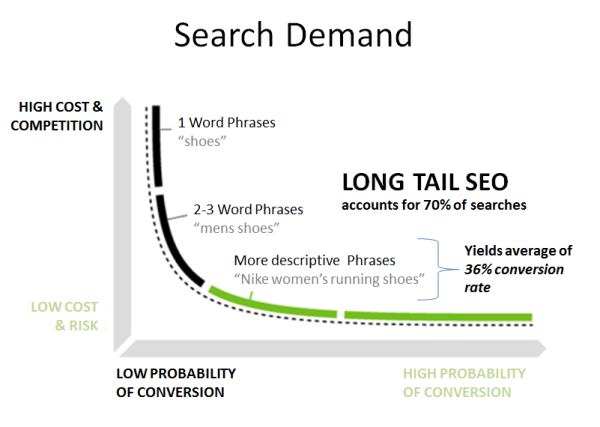 We’ll setup your keyword strategy to get the visitors you want coming to your site. Then we’ll continually monitor and optimize results so that you can spend less and get more. We are on the forefront of all upcoming Google and Bing PPC changes and make sure that our clients are positioned to take full advantage of the new things coming down the PPC pipeline. We have clients in Alpha testing of the new Google AdWords interface and other clients in Beta testing of the new Expanded Google Ads. By the time that these new things are rolled out to the public we will have already mastered them, putting our clients at a huge advantage over their competition. Ask us about the exciting things coming to LOCAL PPC this fall! Regardless of your product or service, your clients are searching for you online. PPC isn’t just for businesses selling products online. 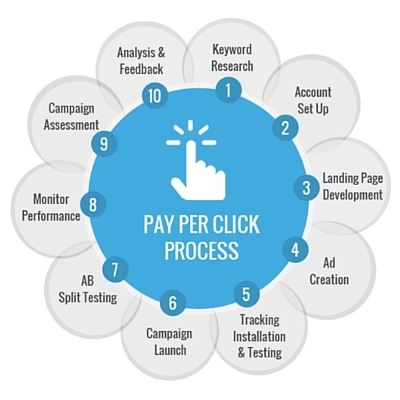 Dentists, attorneys, jewelry stores, car repair shops, just about any other business can and should take advantage of PPC. If you’re not appearing in the ads that are delivered at the top of the screen, you’re losing customers to your competition. PPC campaigns also provide extremely useful insight into what keywords you should be targeting for your content marketing and on-page SEO. It’s very valuable information that will help your business grow. EXPERT PPC MANAGEMENT. IT’S REAL.